(1) irresistibly cool, original and unique (2) have something markedly different that either no-one else can deliver or (3) understand something that will change everything…and no-one else knows it yet. This is the fundamental principle of attracting new business in a marketplace that is already busy, if not saturated – Finding a way to present you and your organisation in a way that feels genuinely different to potential clients who are in general, tired of hollow promises and previous training / coaching misadventures that simply didn’t work. How do you present yourself and what you do as genuinely different, when in truth, you probably aren’t? Over the past 30 years I have experienced and observed numerous situations that clearly revealed the answer to this question…and it is an answer very few people will like or accept, even if deep down they know it’s true. And not just what you do and how you do it. Rather, the change I am talking about takes the form of a soul-deep, foundationary transformation of your worldview, beliefs and critically, why you do things. If we want to look and be different to an established business paradigm, we have to move beyond it. But we have to be ready…and genuinely willing. To move beyond an existing paradigm, we need to evolve – Not grow, expand or move faster…evolve. And as we approach 2020, it is indeed the evolution of both personal and particularly Organisational Consciousness that is at the leading edge of a potential global transformation; in business, technology, politics, ecology and human society in general. But, our capacity and willingness as a species to undertake the necessary changes is being seriously questioned as the world is asked to decide what to do about its use of fossil fuels, its environmental policies, population growth, nuclear disarmament and managing new and potentially overwhelming technologies such as artificial intelligence. Big issues…big questions. But what does this mean for the corporate sector and its leaders right now? What does it mean for you? Understanding and utilizing the evolution of Organisational Consciousness is not a new fad or passing point of focus like Emotional Intelligence or Mindfulness. It is not about optimizing our Personality Profile, Leadership Style, Ego Type or Aptitudes. It’s not even about establishing a positive, values based Culture within your organisation. The inspired (and scientifically validated) works of Don Beck and Christopher Gowan (Spiral Dynamics) and Ken Wilber (Integral Theory) tell the story of how our “human organisational structures and systems” progressively move through a series of consciousness-based levels or waves. Each has typical characteristics and qualities and is expressed through a predictable model of operation (independent of culture or ethnic origins). Every respective new “wave” evolves from its predecessor when the old model no longer adequately serves the majority of people at that level. It is this pressure that initiates genuine and necessary transformation. Our society and much of the corporate sector are struggling with the increasing number and speed of challenges that the world keeps presenting them. We are seeing communities being polarized by those that want to keep things the same, others who are willing to fiddle around the edges a bit and the growing few who see the need for a transformational shift in the very nature of what we do and why we do it. If it sounds dramatic…in reality, it is. And it affects us all. The old models we continue to employ are clearly no longer serving the majority of the people – Traditional political parties are losing favour; Outdated systems and technologies are being superseded; Entire industries are collapsing and disappearing. So…what to do? What is the potential, indeed the responsibility of global business in all of this? Because of the enormous clout the corporate world wields in our modern society, what we are calling for is courageous leaders in positions of influence to step up and undertake personal journeys of fundamental change…and then take their organisations with them towards new paradigms of successful operation and awareness. Put plainly, we are calling for a new dimension of Vision, Purpose and Leadership within the corporate sector. As a CEO, Director or Senior Manager, you need to know that your team’s evolution is utterly limited by your own Consciousness level…and if you want anything significant in your organisation to shift, that is where you need to begin. With you. 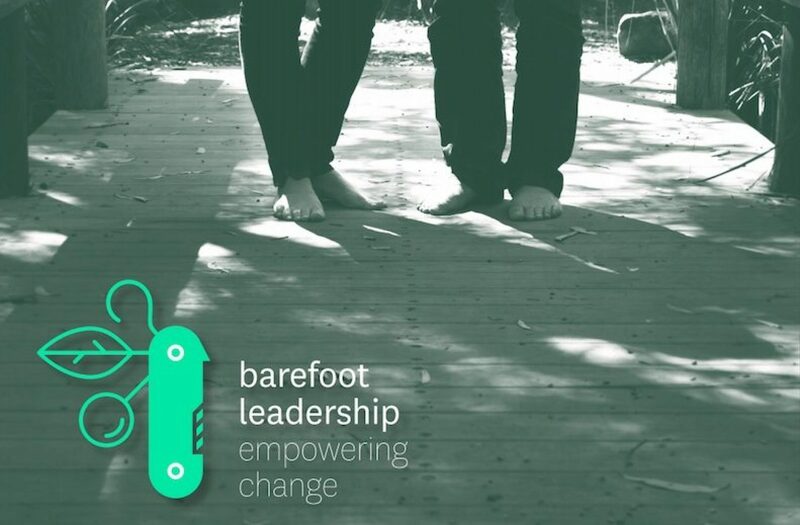 At Barefoot Leadership, with over 60 combined years of diverse, high level business, elite sport and personal development experience, we have been able to distill the academic work of Beck, Gowan and Wilber and created a tool that allows corporate leaders to accurately and tangibly determine where they sit in terms of their own Consciousness evolution and understand how that is affecting the performance of their business…at both micro and macro levels. The tool is the ORCA Matrix – The Organisational Resonance and Consciousness Assessment. The ORCA Matrix doesn’t evaluate expressions of who you are, what you’ve got or how well you do things. Instead, it looks at the very foundation of your functioning – the fundamental consciousness from which all your values, beliefs, priorities and motivations emerge. That’s where we need to start. And what comes next is evaluating the Organisational Consciousness of the company itself and determining its outlook for future success, survival or struggle in relation to the evolutionary trends of industry in which it operates. The ORCA Matrix will change the way you see yourself, your business and your world. And…it is the first step in a journey that genuinely is…DIFFERENT.